Toleware trays. I started collecting these because I love the color of them and I use them in areas where I do not have to worry about the sun fading them. 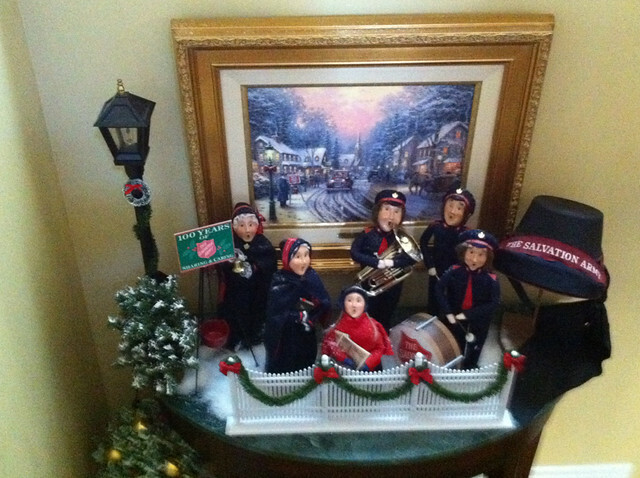 This one is in front of one of my fireplaces. 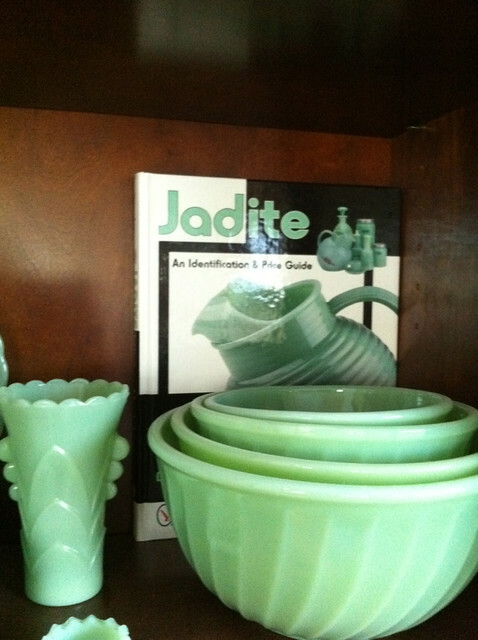 My Jadite..I started collecting these pretty dishes before they became a Martha Stewart sensation. So due to the great uptick in the prices, my collection is limited. 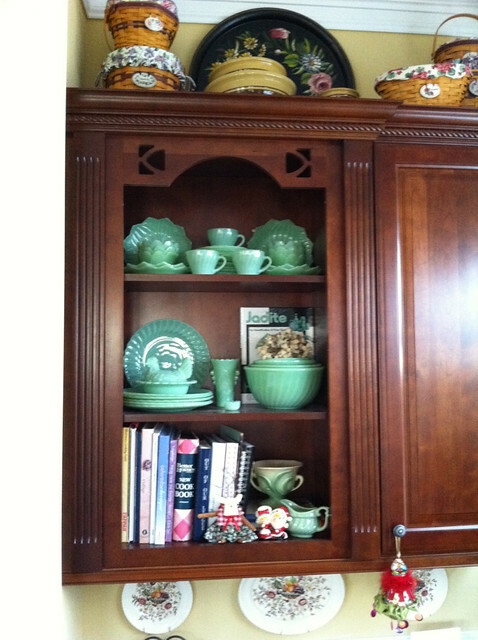 Salt Glazed pottery..Just have a few pieces that I kept when I scaled down my collections…I am going with my goal of a more cleaner, casual elegant feel in my home. 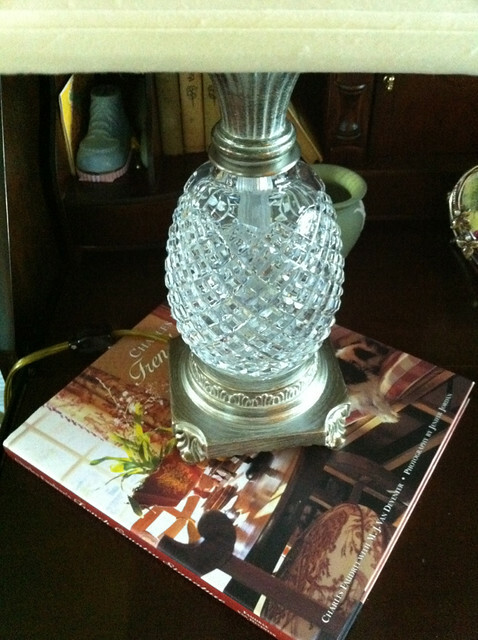 Waterford..this is a collection that I am moving forward with..Love all things Waterford. 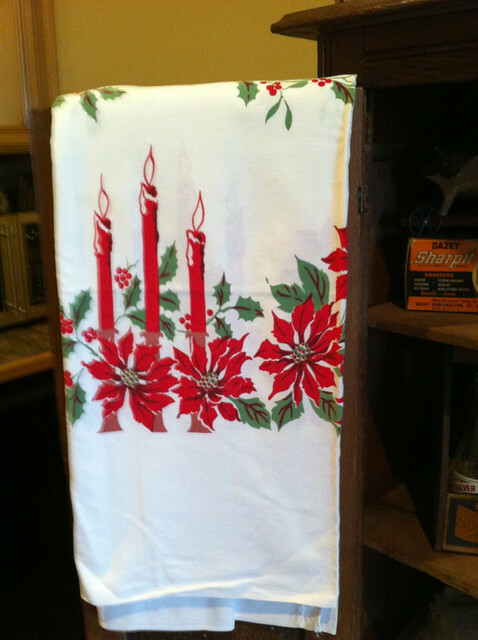 One of my vintage tablecloths that is hanging on the door of a pie safe. 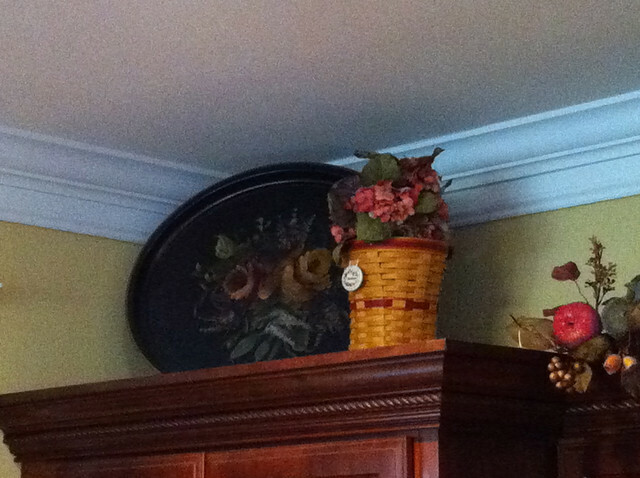 I try to display a different one for each season/holiday. 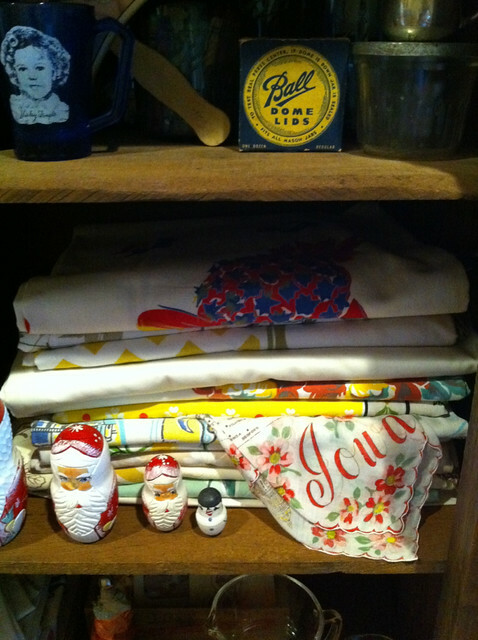 One of the stacks of tablecloths..You can see I am still decorated for Christmas..
Byers Carolers..one of many Caroler vignettes I have throughout the house for Christmas. One of my prized possessions is the antique Salvation Army hat. 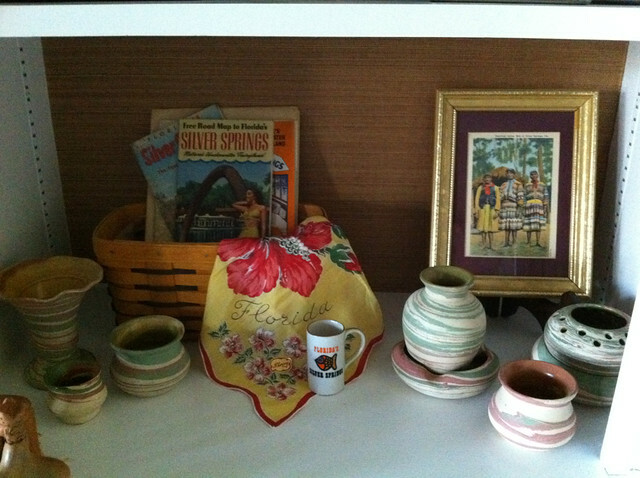 And last, but certainly not least is my collection of Silver Springs Pottery. It is very sentimental to me as we honeymooned there a zillion years ago. So these are just a few of my favorite things. I know I will be singing that song in my head all night long! What great collections! I have enjoyed seeing what others collect. Thanks so much for sharing. Happy New Year!! 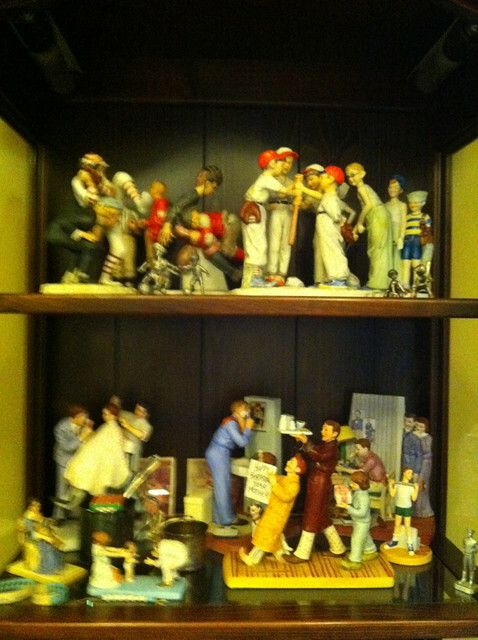 I enjoyed seeing your many collections. 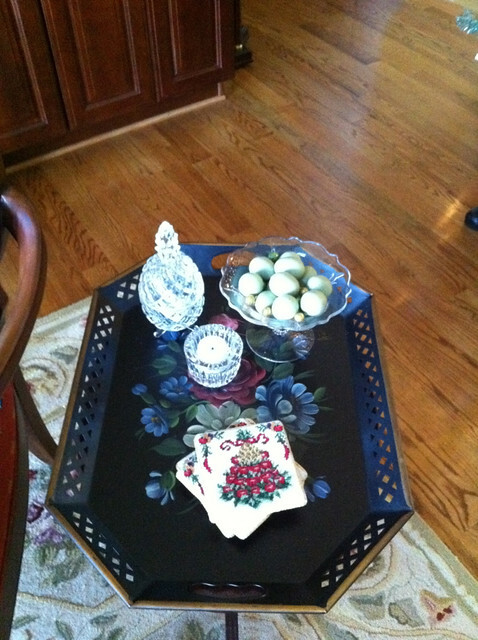 Love your jadite and vintage tablecloth collections especially! 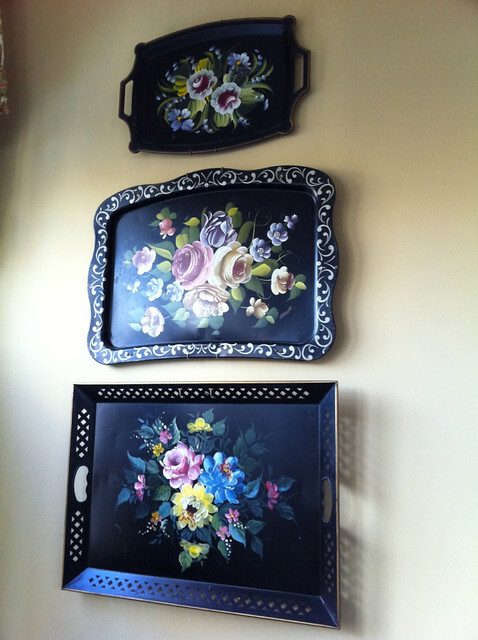 Love those tole trays–you have some gorgeous collections! Hi Shirley, I see you came to Hibiscus House and paid me a visit so I thought I would visit you. I love your blog. 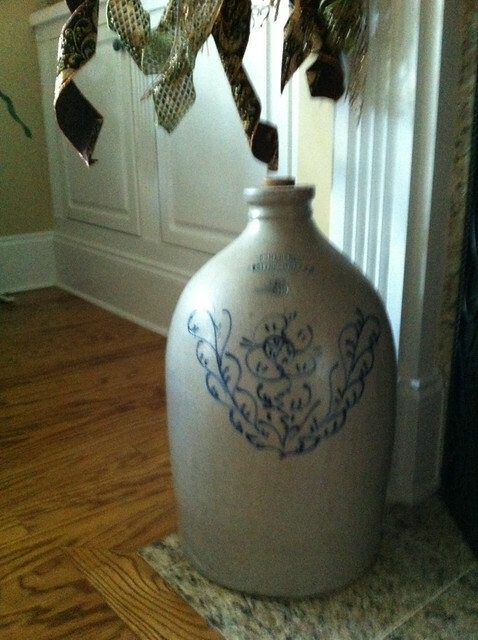 I feel as if I have been to my favorite antique shop but without the walking..It was fun, I love your pieces. 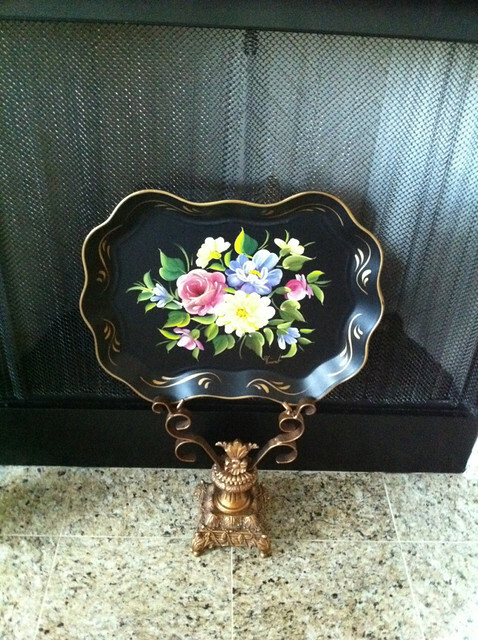 My grandmother left me one of those toleware trays like your first picture. The colors are vibrant aren’t they? Thanks for the visit and now I have a new wonderful blog to visit.. 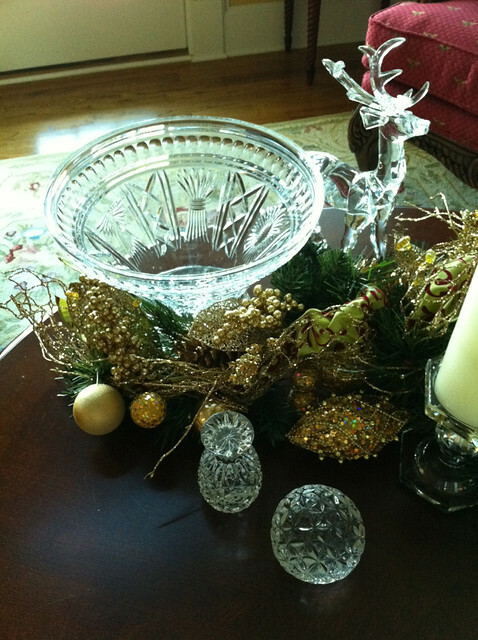 It never occurred to me, I should have Julie Andrews song playing in the background on the blog! 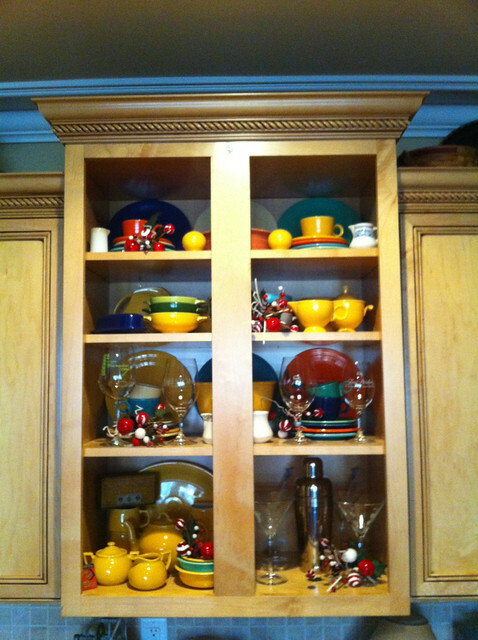 Oh my heavens, several I fell in love with to include the trays, the jadite, the salt glazed pottery jug…. love it all! So thrilled you came by and shared your lovely things!